Yomo Shaw (left) and Maurice Scott (right) do construction work at Alice Griffith. They both served time in California state prison. There were just a few weeks left, so Maurice Scott started sending letters out to every employer he could think of. He made hundreds of copies of his certifications, folded them one-by-one, stuffed them into envelopes, and licked them shut. He wanted a job the second he’d breathe air as a free man again. Determined, he even dialed an employer from a wall phone in prison, to say he needed work immediately. “You gotta get out first,” they told him. Word started to circulate outside prison walls. Scott’s name kept ringing in the ears of Samuel Adams, a project manager running a construction project rebuilding one of Bayview’s public housing projects. Adams didn’t so much as blink before Scott came right back an hour later with his union card in hand. He got the job. Three days out of prison. It’s been two years – two years of Scott reentering society and rebuilding his life after 22 years circling through 22 different state prisons. In all that time, he mastered skills he puts to use rebuilding homes at Alice Griffith Apartments, a derelict public housing complex in Bayview-Hunter’s Point, now in the midst of total revitalization. It is one of four public housing projects in the southeast sector of San Francisco being torn down and built from the ground up as part of the Mayor’s Hope SF program. The program, funded through city and federal dollars from the Department of Housing and Urban Development, erects stronger, sleeker-looking buildings while also opening up job opportunities for residents who have always known poverty. Unfolding nearby at Candlestick Point will be a $8 billion redevelopment that will bring a new neighborhood of 12,100 housing units and 4.3 million square feet of office space to the southeastern waterfront. Scott and a few of his co-workers, like Yomo Shaw who spent eight years in prison, are living examples of the benefits of a good job — but they are also reminders of how few ex-convicts from Bayview manage to successfully re-enter the job market in San Francisco. Even at a time when there is an on-going construction boom, only a handful of the jobs go to men like Scott and his fellow ex-prisoners. Construction jobs remain one of the few well-paid jobs accessible to low-income residents, including ex-convicts reentering civilian life. The city recognized this opportunity in 2011 by passing the Local Hire Ordinance, which mandates that local San Francisco residents account for 30 percent of all public works project hours. Alice Griffith is one of four distressed public housing communities in the southeastern sector of the city being torn and rebuilt from the ground up, as part of the Mayor’s Hope SF program. In 2017, the city met this mandate — 38 percent of the 8.4 million total work hours reported in publicly-funded construction projects were performed by local workers, according to an annual report by the Office of Economic and Workforce Development, which oversees workforce compliance. But getting that job is an uphill battle, and although local workers clock more hours, there are more workers who come from elsewhere. 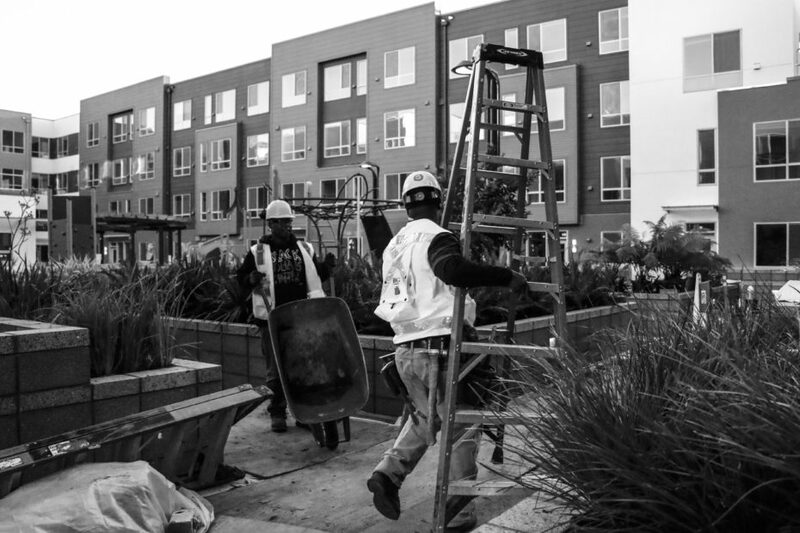 Of the 22,934 workers who have clocked hours on city projects since the ordinance went into effect in 2011, only 3,765 were local San Franciscans — about 16 percent of the workforce. And of those, 756 were Bayview residents — 3 percent of the workforce. 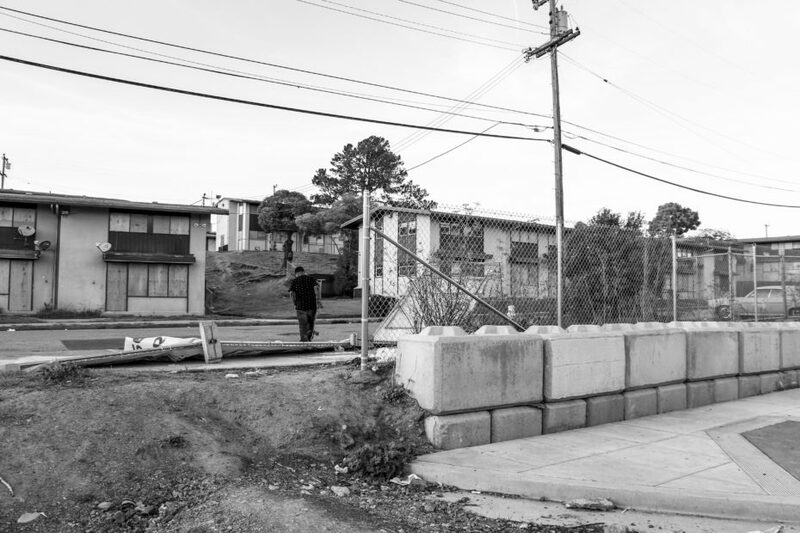 That battle is even steeper for locals in the Bayview, one of the last majority black neighborhoods with one of the city’s highest rates of concentrated poverty. Yet for them, a lucrative job is the difference between staying and going. Black residents made up 60 percent of the Bayview population in 1990; in 2014, they made up only 31 percent. For the locals who have found work on the Alice Griffith project, it’s made all the difference. For Scott and Shaw, they’ve been given a second chance. And it’s because of their job that they’ve successfully re-entered society. Shaw, who grew up in Alice Griffith, now earns enough to support himself and his family as he rebuilds the community he grew up in. Before the 7 a.m. shift starts, Shaw usually beats the sun, bringing in the morning just sitting on the rocks at the water, the only soul stirring there at the edge of the Alice Griffith construction site. It was all once a lumber yard, where he and his friends as kids would climb and hide and play. Sometimes he tunes into his radio. Other times, he just listens to the waves crashing against the shore, sounds he’s always known growing up in Double Rock — what Alice Griffith residents have always called their home. Back then, they’d sneak into Candlestick Park and pitch baseballs to each other as though the lights were shining on them and the world was watching. Roughly half of the Alice Griffith population are African-American residents. The majority of households in the community have children. Sofar in the Alice Griffith project, 186 local residents from District 10, including Alice Griffith residents, have worked on the project, making up roughly 18 percent of all workers. Together, they account for a little more than 30 percent of total project hours, meeting the city’s hire requirement. The local ordinance doesn’t specify that workers have to be from low-income or public housing communities, they just have to be local. But a federal hiring regulation, called Section 3, requires that a contractor in any HUD-funded project try to hire low-income residents if there is a need for new hires. At the Alice Griffith project, there was that need, so the requirement helped put 26 residents to work at the beginning in 2015. Last year, there were 209 low-income residents hired, a substantial increase as construction has picked up, but they made up only 15.5 percent of the workers. Contractors can only hire employees if they have the appropriate certifications for the job. So if a low-income resident doesn’t have the technical expertise, the subcontractor will hire someone who does. Those hired at Alice Griffith were mostly general laborers and didn’t qualify for the skilled trades. Shaw is one of six Alice Griffith residents currently working on the site. Another 18 other residents are available and ready to work construction jobs but have not been hired. Of those, some aren’t working because they’re in specialized trades that aren’t needed during this phase of the construction. But by and large, jobs are just out of reach for many. They simply don’t compete well against local or out of town workers. Adams said one of his Alice Griffith electricians passed all his tests, is as skilled as any other electrician but is in limbo, one of 300 or so names on the waitlist to get into the union – a quest that can take years. Even if they make it into the union, public housing and low-income residents have to work harder than most to be considered for the job. Superintendents and foremen prefer to work with people they know so it’s hard to land a job if you aren’t friends or family, Salinas said. On top of that, the construction project needs to be built on time, under budget, and with quality work. 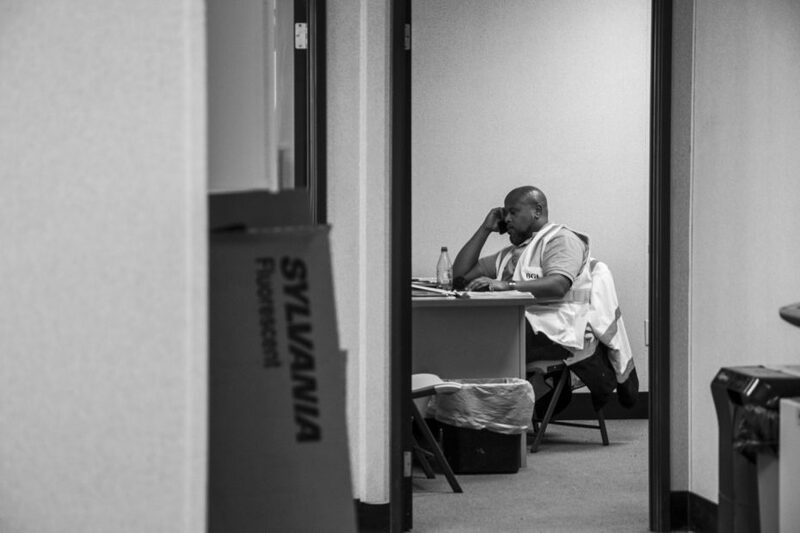 Locals coming from a neglected, distressed urban community, or coming out of years of time spent in prison, aren’t always prepared to start the job day one. Adams, who runs the Alice Griffith project for the general contractor Baines Group Inc. and Nibbi, and Dozier, who runs workforce development and social services for residents team up to help build critical soft skills — things like knowing to come to work dressed, or that the shift starts at 7:00 a.m. and ends at 3:00 p.m., not 7:05 a.m. to 2:59 p.m. They try to acclimate workers to a fast-paced and often unforgiving culture. Adams said he tries to push the construction site’s leaders to be patient, to invest time in teaching both soft and technical skills, and to be transparent with expectations before laying off or firing someone. That has saved a few local hires’ jobs during the project, including Shaw. Adams recalls a time when Shaw came to work and underperformed. Adams said he could sense something had happened off hours, pulled Shaw aside, checked in with him, and reminded him how important it is to focus on the job because it’s his livelihood. Eventually, Shaw was laid off when the project no longer needed his work. Adams passed along Shaw’s name to subcontractors. “Yomo’s a good worker,” he told them. One subcontractor also on site hired Shaw not too long after, allowing Shaw to continue working. Once that gig passed, he returned to work under Adams, where he is now. But even with Adams’ efforts, he said he isn’t always successful advocating for his workers, especially those who have been through the system at some point in their lives. Word around the block is that African-American low-income residents are last to be hired and first to be fired. Salinas said it’s because the barriers to employment aren’t just that workers lack the skills. He said there are serious and widespread prejudices. 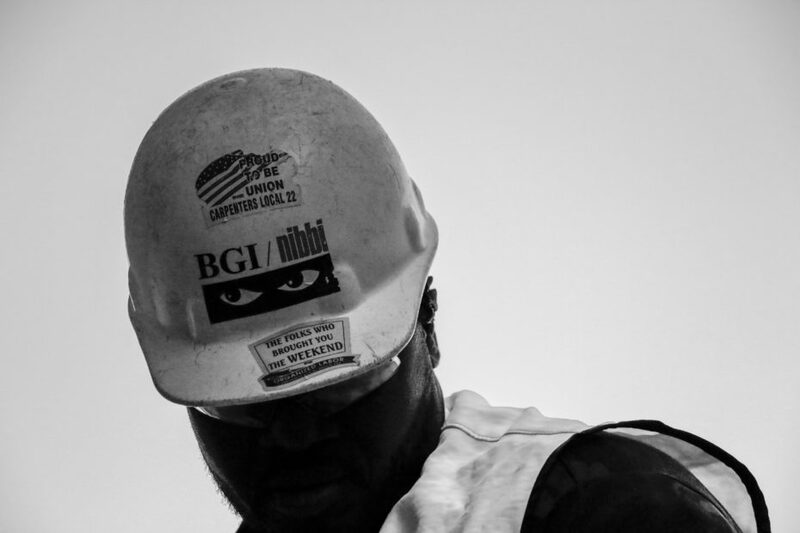 Samuel Adams says he tries his best to employ the formerly incarcerated in his construction projects but often must confront barriers to get them hired and keep their jobs. Thereare workers like Scott and Shaw who are trying to break the stereotypes. Scott, according to Adams, is someone who has earned the respect of superintendents and rank-and-file workers alike. That’s because he came on the job and knew how to work, day one. It isn’t always apparent to people that Scott became who he is because of what he learned in prison. He mastered all his trades, brushed up on his carpentry, took math classes and even finished with a college degree, all behind prison walls. It was there, where even the most traumatic parts of his incarceration taught him to how to persevere and adapt. He learned how to persuade people not to go to war, after experiencing enough riots and turf wars to feel sick of fighting. But even then, no matter how stark the culture clash or how heated the racial divide, he never wanted to stop fighting the bullies. It earned him status as a leader, a shot caller on the yard, the designate from his race to mediate disputes before they turned into brawls. It also earned him a few trips to “the SHU,” solitary confinement, and plenty of transfers to new prisons to isolate him from certain crowds. Now, on the outside, Scott can walk onto a construction site, where Adams said he’s earned the respect of everyone, superintendents and rank-and-file alike. It’s a place that Scott considers very political. He said he often tows the line of compromise between leaders and workers. But it isn’t life or death like it often felt in prison. Scott thought he was never going to make it out alive. Shawawoke to the sound of his cell gate opening at 3 a.m. Standing over him, the prison guards told him he had 15 minutes to pack up all his stuff and go down to the bus. He was being transferred. Solano State Prison, one said while Shaw packed all his things. When Shaw went to prison, the judge ordered that his sentence could be cut in half if he didn’t get into trouble. Every day, Shaw got up, ate food from the commissary, read a book, kept to himself. Now he had just one year to go. “Oh my god, it felt like seven years before a year came up,” Shaw said. At the end, it was 8 years and 20 days. 8 years and 20 days Shaw never wants to experience again. He thought that to himself when he stepped out of prison walls for the first time. He thought it, too, when he and a few other guys were dumped at a bus stop in the sweltering heat to wait for the next ride, and one of them went into the liquor store to buy some smokes and came out with cuffs on his hands, escorted back to prison. Shaw fell asleep on the bus. When he woke up, his eyes met for the first time in years a new and changing San Francisco, sidewalks stirring with new kinds of faces. Then wondered while walking down the streets all the way back to Alice Griffith if the cops would arrest him. He spent a week on his brother’s couch and that was about enough. He knew he needed a job, that that was the only path he could take now, but having a record was making that difficult. Eventually, it paid off. He landed janitorial work at the Palace of Fine Arts, a job he adored and kept for 16 years before he switched to general labor in construction and began rebuilding his old neighborhood. “It keeps me young,” Shaw says with a laugh. He feels blessed to have a job, that he wakes up every morning, alive and ready to work. When Maurice Scott gets a minute to breathe, he drives down the road from the construction site to Candlestick Point, the edge of land slated for an $8 billion development project. Scottand Shaw make enough to support themselves in a city where African-Americans make up less than 6 percent of the population, but nearly half of its jail population. The Bayview welcomes back large numbers of men and women who have spent time in the criminal justice system. Of the 3,307 adults currently on probation in San Francisco, 504 of them reside in District 10, according to demographic data from the department. More than half of those clients are African-American and the majority of them are under the age of 45. But there’s still a real unknown, of exactly how many people coming back from prison are out in San Francisco streets and are totally unaware of the services available to them. Lauren Bell, director of reentry services at Adult Probation, said there are tons unaccounted for. Some people leave prison and return to absolutely nothing. Maybe some burned bridges, maybe with just $200 in their pocket, which they get at the prison gate when they leave. “And then you get to San Francisco, you get into one of the hardest places to live financially in the world,” said Gerald Miller, a formerly incarcerated San Francisco resident who works as director of community-based services at the Center of Juvenile and Criminal Justice, which offers a wrap-around services program for ex-convicts. Miller said a job keeps you out of trouble eight hours a day. Two full-time jobs? Even better. It’s the time when someone’s not busy that’s the problem, the struggle, he said. “You don’t have to watch your back, but you have to watch how you step,” said Shaw, who hasn’t had a lick of alcohol since before he wound up in prison. Returning to a neighborhood like the Bayview is even harder. 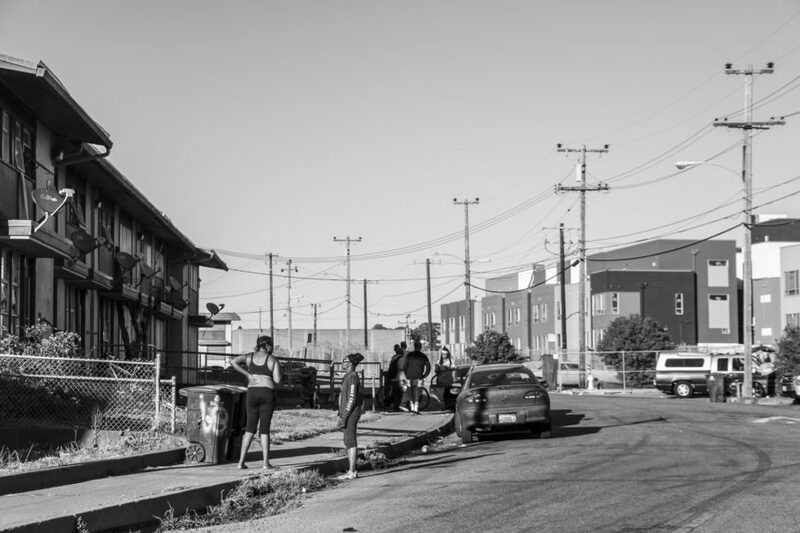 The neighborhood, one of the city’s last black enclaves, has one of the highest rates of concentrated poverty. Some 45 percent of Bayview residents are low-income, according to data from the Human Services Agency. And it’s in a city that, despite having the ninth-highest general employment rate in the country, sees a stark employment disparity between white and African-American populations, according to a Brookings Institute study published this year. It reported that 84 percent of white San Franciscans were employed, compared to only 54 percent of African-Americans. That concern is real, “it’s palpable,” Bell said. Even after the city’s Fair Chance Ordinance passed in 2014, pushing any discussion of criminal history until after an offer of employment, that bias, implicit or otherwise, against hiring the formerly incarcerated still exists. People carry that weight around, and the stigma, according to Bell, can be immobilizing for many people returning from prisons or jails. Research shows that having a steady job and a stable home are two of the most important factors that keep ex-convicts from reoffending. “Your job is your life,” Shaw says. Maurice Scott is a skilled carpenter. He earned all of his trades while incarcerated in California state prisons. WhenScott gets off work, he switches gears and the hustle never stops. It’s a similar kind of hustle to when he was younger, earning his money on the streets, DJ-ing or working odd construction jobs. But now, he’s on a mission — to support his people. 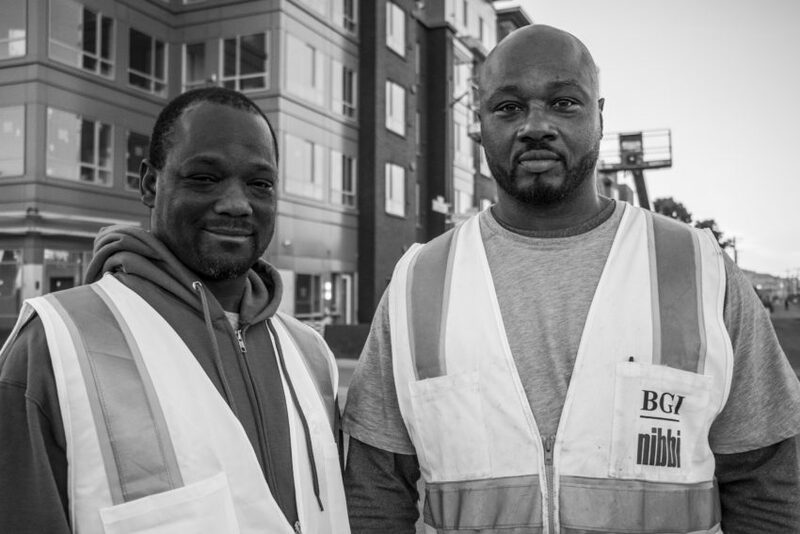 When he’s not on the construction site, Scott attends community meetings in San Francisco and beyond, advocating for more employment opportunities for ex-convicts. The next step, he says, is to make a one-stop shop: transitional housing, employment services, everything, all under one roof, and under his leadership. Scott and Shaw are both living proof that prison doesn’t always break you. Scott said he’s determined to leverage his personal story to show people that positive changemakers for the community can come from the most unlikely and sometimes most unwelcome places. Bell said it’s a big ask for people who are steeped in the criminal justice system, who have lived in poverty their whole life, who deal with family fragmentation and institutional racism and even racism blatantly, to still come out of all that and be their personal best. People, she said, can’t always untangle themselves from the environment they’ve grown up in, and for many from that part of the city, it’s an environment of neglect, of violence, of skirting the rules. Some of the old Alice Griffith units still stand. In December, a carjacking suspect was killed in an officer-involved shooting at the intersection of Fitzgerald Avenue and Griffith Street, a corner just near the old Alice Griffith gate. Years leading up to the Hope SF program, Alice Griffith and the other Bayview public housing sites saw serious violence on its streets. Since 2011, Alice Griffith alone withstood dozens of incidents every year of Part I crimes, namely aggravated assault, burglary, larceny, robbery and a few homicides. So far this year, as construction has been underway, few of those crimes have occurred. “We are stepping in the right direction, revitalizing our public housing communities, and with the city stepping up with millions of dollars committing all this to happen,” said Shamann Walton, director of Young Community Developers, a Bayview-based organization that provides job training and barrier mitigation for the Bayview, other southeast sector residents as well as residents at all Hope SF sites. It’s trauma that goes beyond the criminal justice system, said Walton, who himself was incarcerated as a juvenile. It’s trauma that starts in institutions that are supposed to be supportive, like schools and law enforcement, he said. Shaw said he talks straight to some of the most vulnerable in the neighborhood, the young ones about to slip into the system. They’re transitional age youth, kids from the ages of 16 to 24. He never wants anyone to experience what he did, all because of a decision he made when he was their age. “I try to tell these kids out here, ‘y’all sitting here, y’all selling drugs, all of this is going to come to an end and hopefully it won’t be too late for you. You can stop it now, while you’re still here walking,’” Shaw said. Few understand better the lure of the fast life. Black kids in the Bayview are growing up in a city where only 16 percent of African-American students graduate high school. In their city, only 8 percent of African-Americans over the age of 16 are employed, according to data from the Bureau of Labor Statistics. And in their neighborhood, 39 percent of children under the age of 18 live in poverty, compared to only 13 percent citywide. 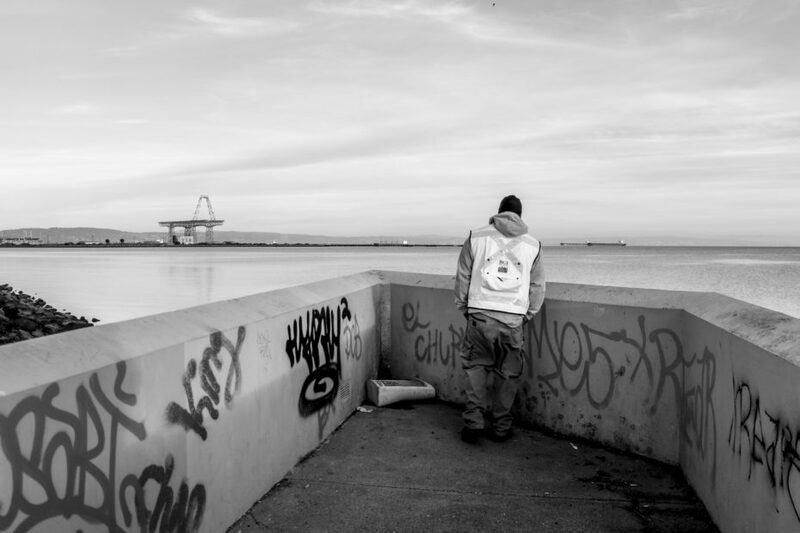 There are roughly 1,104 transitional age youth living in poverty in the Bayview, the highest number in District 10, according to data from the Human Services Agency. And while roughly 20 percent make up Probation’s caseload in District 10 and nearly half of the clients of Young Community Developers, where they are connected to job trainings and work opportunities around the city like the Alice Griffith project, there’s still a substantial portion of young people in the community the city’s not reaching. “We may not get to the ones who have major substance abuse issues, or just don’t want to stop selling drugs right now, or don’t want to do anything but hang on the block,” Walton said. 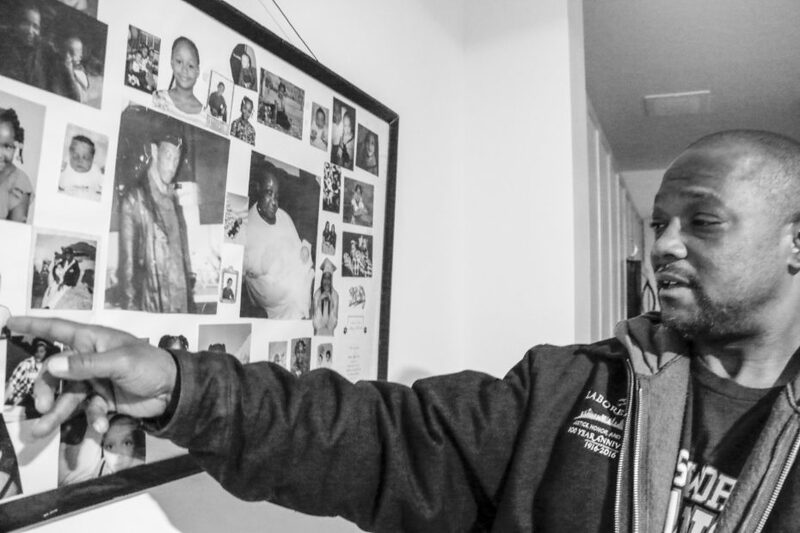 Yomo Shaw points to a collage of his children, hanging on a wall of his new Alice Griffith apartment, which he helped build himself. San Francisco Police Chief Bill Scott sees such job programs, like the Interrupt Predict and Organize program the city launched in 2013 to intervene in the lives of gang-affiliated youth, and other wrap-around services for ex-convicts as key to keeping young men and women out of the criminal justice system. It’s something he wish he knew then. Like Scott, Walton said it’s important to give young people more options, more choices to live their lives by. It’s clarity of retrospection that Scott now has, standing on the other side of 22 years in prison. There are days, out here in the free world, when Scott talks with his friends who went through the system and did a lot of time too. They just sit there together, staring at each other and thinking the same thing. This is a fabulous investigative report. Thank you so much for a thorough and well written piece. We need more of these stories and I thank you for making this one available to the public.